AAAHHHH!! Was the shriek I heard coming from the other side of the bushes. This was no ordinary scream, as we were in an area surrounded by jaguars, pumas, and bobcats. And by no ordinary scream, I mean it didn’t sound quite like an animal attack, but something else. I rounded the corner to find my cousin, amongst other students, taken aback by the “massive” spider they had just spotted right outside the jaguar enclosure. For a group of Wisconsin teens on their first visit to Costa Rica, any creature would appear “massive” in comparison to what they are used to seeing and this spider sure qualified. Thankfully, they didn’t scream every time they saw a new insect/animal or they would have been hoarse by day two, but there was a lot of “new” for this group to take in. 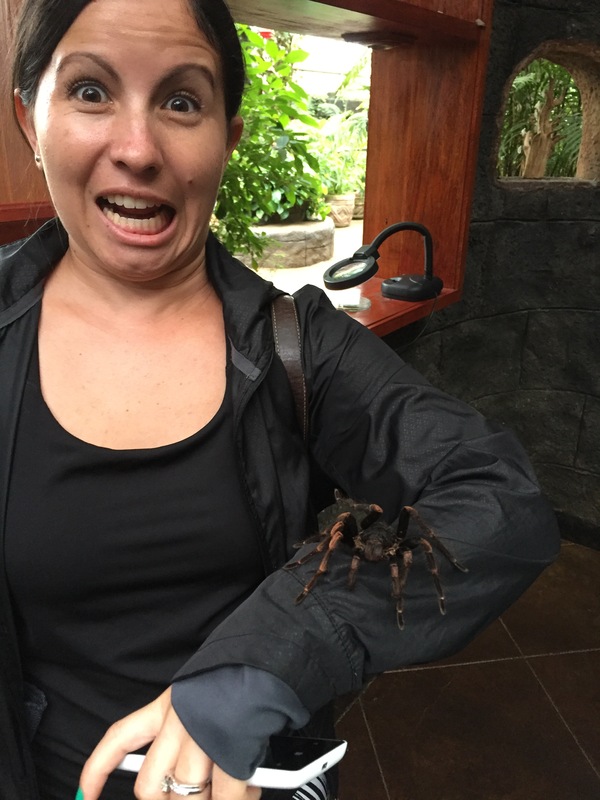 Our spider encounter at the Costa Rican zoo we visited that day was just one of the many cultural experiences these students had over the course of their cultural exchange trip to Costa Rica. When you add that to the cockroaches, gecko lizards, mutant mosquitoes and the occasional rat/mouse there’s already a lot to experience not even counting human interaction. 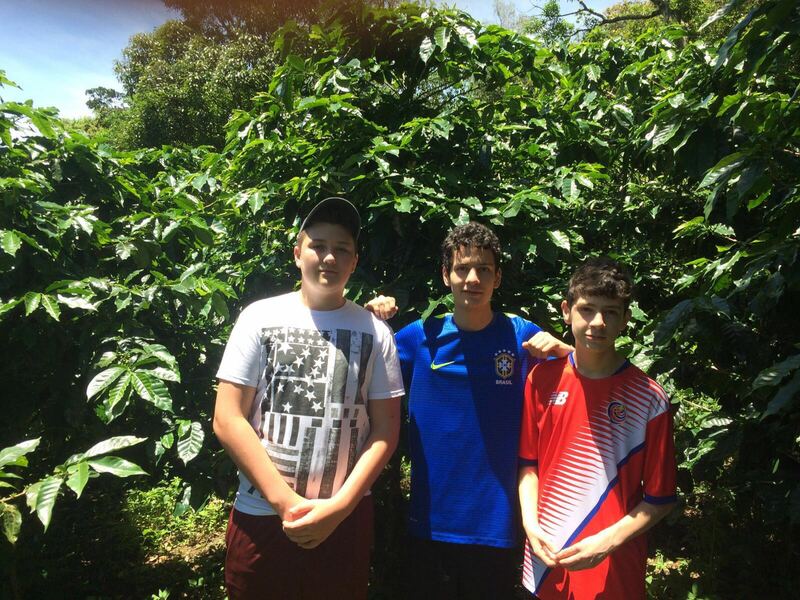 This was a very special group of exchange students as they had received Costa Rican exchange students in their homes January and would now live with the same students in Costa Rica. 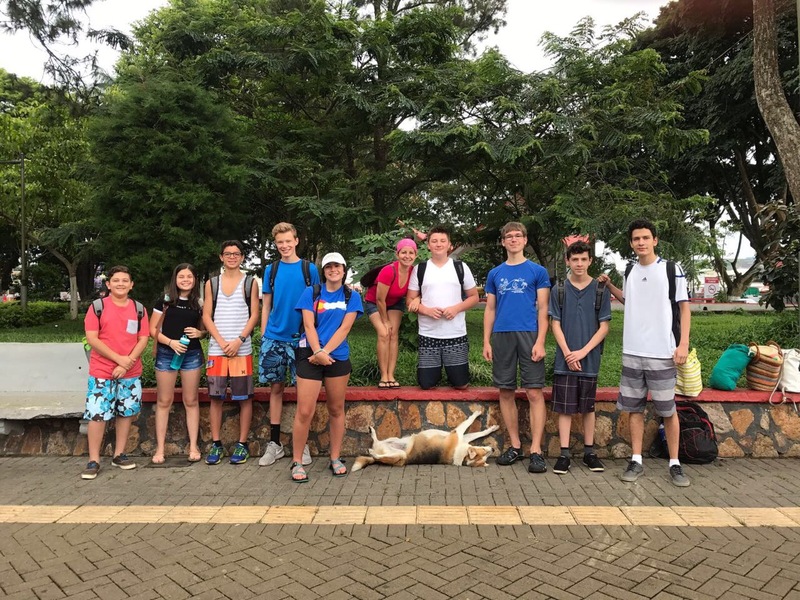 Over the course of two weeks, the students visited the host student’s high school, attended classes, participated in educational and recreational activities, and most importantly, were immersed into the Costa Rican culture. When I talk about cultural exchanges, I always refer to “tingling” moments or sensations where cultural interaction is taking place, but there is no good way to describe the feeling as it is not something you can detect physically (unless you’re screaming). What’s fascinating is everyone experiences these moments differently for a variety of reasons and there is no telling what their main take aways will be. Observing these students over the course of the exchange I noticed a lot of these tingling moments. There were card games the US students shared and there was salsa dancing the Costa Ricans shared. There was our trip to the capital city San José, punctuated be getting stranded (but not soaked) under a torrential downpour and a visit to the main central market of San José. There was also the unique experience of living through a power outage in all of Central America. Besides that, there were many great memories created on the other excursions such as the beach island trip, where Wisconsinites and Costa Ricans could be seen kayaking, playing volleyball, and having a good time chilling out in the jacuzzi. These were only the things that I could observed. The other aspect of this trip was all the opportunities the students had on the weekends and evenings with their host families. Even though we insisted the students only spoke Spanish when together, we could rest assured that they were being forced to try out the language while at home. For the higher level students, this was their time to speak the language freely without feeling as if they were being graded. For the lower level students this was their chance to see just how far they could get while having their host sibling as a backup should they get stuck trying to communicate something to their host parents. For me (and them) it was a big accomplishment completing both stages of the exchange. The only thing I’ve ever regretted about international travel was not starting sooner (and I started when I was 20). These students now not only have the international cultural travel experience at a young age, but they also have international life long friends that will no doubt continue to be resources for them. There was lots of sadness at the going away party, however I don’t foresee this being the last time they are together. I still keep in touch with my original host family from 11 years ago and rarely do I miss a celebration. Even being fully integrated into my wife’s Costa Rican family doesn’t take away from that first experience and bond I’ll always have. I visited a lot of countries after first coming to Costa Rica, but no matter how much I enjoyed the other places, it was never enough to overcome the experience I had from my first time in Costa Rica. The future is bright for these students as it’s anyone’s guess where this experience will take them. I ended up in Costa Rica, however maybe they will never return to Costa Rica. This exchange though will no doubt give them the confidence to take other risks putting them out of their comfort zone. Let’s just hope those risks don’t involve jumping into a jaguar enclosure. That would provoke one extraordinary scream.